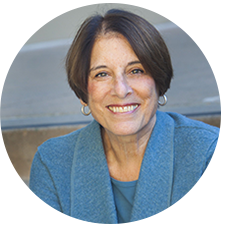 Nora Silver is Founder and Faculty Director of the Center for Social Sector Leadership and Adjunct Professor at University of California Berkeley-Haas School of Business. She led the Center to be ranked third in the country (US News & World Report, 2016). Berkeley-Haas was also ranked first among business schools in social impact (Business as Unusual, 2014). Nora is a serial entrepreneur, having founded a number of nonprofit social enterprises. She was founder of a unique collaboration of corporate, community and family foundations united to strengthen and diversify volunteerism in the United States. She also founded a groundbreaking enterprise that examined traditional notions of community service and taught a broad range of organizations to better engage volunteers. Early in her career, she served as executive director of a domestic violence organization, taught Spanish in an inner city school, and worked as a psychotherapist in private practice. As an organizational consultant, Nora has worked with hundreds of organizations worldwide – including nonprofits, businesses, governments, foundations, and universities – on strategy and organizational development, cross-sector collaboration, community engagement, and board and executive development. Nora served as a senior trainer for the Peter F. Drucker Foundation. Nora holds a Ph.D. in organizational and clinical psychology. She is the author of Telling the Whole Story: Voices of Ethnic Volunteers in America, and At The Heart: The New Volunteer Challenge to Community Agencies. She has also authored papers on multi-sector leadership, nonprofit networks, and next generation social sector leadership. Interested in learning more about this course? Learn more about Professor Silver and her current courses.